This level has medium difficulty. For this level try to play from where you have more candies available to play to make more special candy. 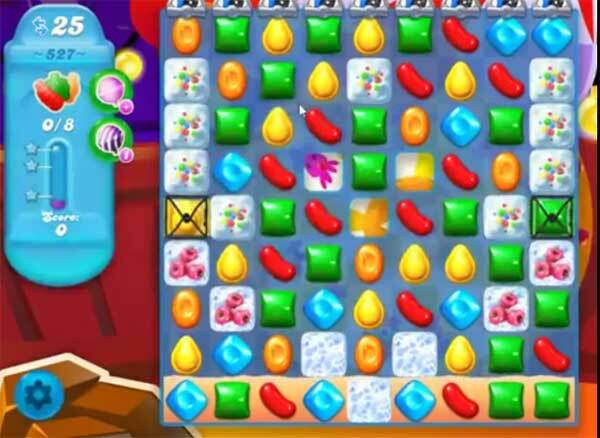 Combine special candies to break more blockers and soda bottles. Or watch video below to take more help. I was just playing this level and I watched a green striped candy piece DISAPPEAR (it didn’t explode, it DISSPPEARED) and change to a regular red candy piece right next to a color bomb. THIS GAME CHEATS.